This interactive presentation introduces a Culture of Yes into your organization. In a Culture of Yes, new ideas are accepted and encouraged, people take more risks and are more fun to work with, and collaboration happens quickly and constantly. Using the fundamental principle of “Yes And” from the world of improvisation, this presentation is full of fun, quick interactive exercises that you can take away to change your everyday work and home life. Click here to go back and get a free quote! Aden Kirschner is an improv teacher, facilitator and the Corporate Training and Events Coordinator for Merlin Works. As a fixture in the Austin improv community, Aden is frequently sought out to play in shows with multiple theater companies in town; including world famous vaudeville revue: Esther's Follies where, as a cast member, she spent the majority of 2011 wearing huge wigs, singing big songs and getting massive laughs. She can currently be seen performing at Austin’s premier venue the ZACH theatre, with Merlin Works faculty troupe, the Known Wizards; or with B. Iden Payne Award winners, Girls Girls Girls Improvised Musical Comedy. 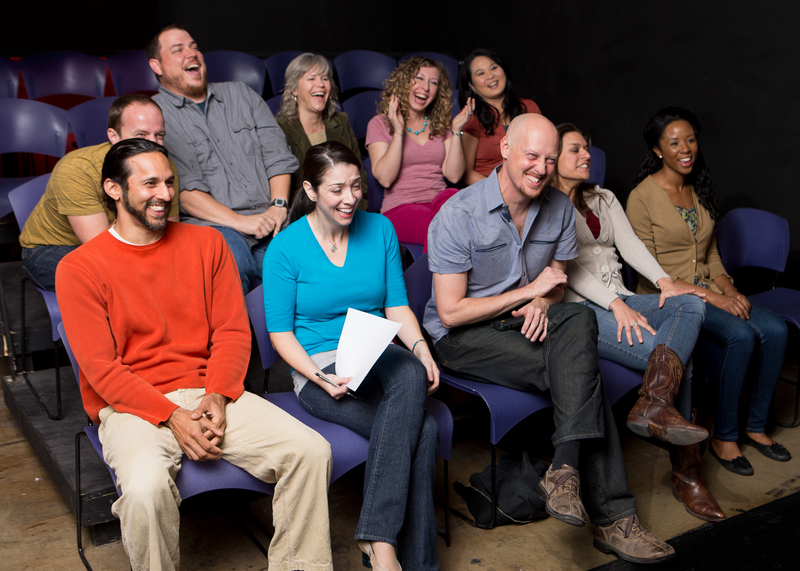 Labeled as “The funniest person in Austin,” by improv giant, Tom Booker, Aden joined the Merlin Works faculty in 2009 where as a teacher, Aden seeks to create a fun, safe environment where people can explore and grow new practical skills to help them on stage, in business and in their private life. I need to to a Tes X talk in Nashville in January. Where do I start. I am an artist fundraising for music non profits. See http://www.soundwavesartfoundation.com. I moved from the uk in 2014. Have a fear of speaking unless I have a few drinks inside me.